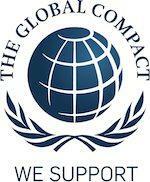 Global Compact, a business responsibility programme founded and managed by the UN has been operating since 2000. It was set up to engage internationally active companies to act responsibly in matters concerning human rights, labour and the environment, as well as to counter corruption in all its forms. The Global Compact programme includes 8,700 companies from more than 130 countries, and the number is growing steadily. Global Compact is the world’s most extensive volunteer programme to promote sustainable development and corporate responsibility. It is based on ten generally accepted principles, under which companies are bound to tangibly develop their businesses. Many of these principles, such as respect for human rights, the eradication of child labour and labour discrimination, the promotion of environmental responsibility and the fight against corruption seem to be self-evident in Finland. The inclusion of these as a natural part of the cooperation with globally operating, responsible customers will, in the future, become increasingly important for Finnish companies targeting international networks, as well. The Global Compact programme functions as the base of Pyroll’s sustainability strategy, strengthens stakeholder relationships and opens up doors to diverse networks. Principle 1: Businesses should support and respect universal human rights within their own sphere of influence. Principle 2: Businesses should ensure that they are not involved in violations of human rights. The principles of Global Compact have been integrated into Pyroll’s operations in all sectors and at all levels. Pyroll respects human rights, adheres to high morals in its business operations and carries its social responsibility in an appropriate manner. The rights of one’s own personnel are supported by Pyroll in its day-to-day operations and provide for the continuous improvement of the well-being of its employees. Principle 3: Companies should preserve freedom of association, as well as the effective recognition of collective bargaining. Principle 4: Businesses should support the removal of all forms of forced labour. Principle 5: Businesses should support the effective elimination of child labour. Principle 6: Companies should support the elimination of discrimination in the labour market and in the profession. Pyroll’s personnel policy emphasises long-term development, based on equality, equity, encouragement and common rules. Pyroll opposes any form of discrimination. By taking care of the motivation and working capacity of its personnel, Pyroll also consequently strengthens its competitiveness and safeguards the future of its entire personnel. Working terms, conditions, and remuneration systems are being developed and monitored through work atmosphere and job satisfaction measurements. Particular attention is paid to diverse training and the development of information flows. Principle 7: Businesses should support precautionary principles in environmental matters. Principle 8: Companies should take initiatives that promote environmental responsibility. Principle 9: Companies should encourage the development and dissemination of environmentally friendly technologies. Pyroll takes the environment into account in its own operations by using such raw materials and production processes that minimise the burden placed on the environment and are energy-efficient. Pyroll also ensures that its operations in environmental issues are in line with the increasingly demanding environmental goals of the customers. PYROLL PAPER MERCHANT markets and distributes paper and cardboard manufactured according to sustainable development standards for further processing, thus ensuring that environmental values are also taken into account in the part of the final paper / cardboard product. The activities between Pyroll and its customers and partners are always based on transparency, honesty and mutual trust. The partners are selected in such a manner that compliance with this principle becomes the cornerstone of the cooperation. All activities are governed by laws, regulations and rules of fair play, and no illegal or morally suspicious practices are tolerated in any kind of operating environment.